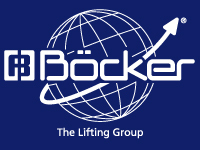 We have been an official sales partner of the Böcker Group since the November 1, 2009. Our many years of experience and know-how in the complete range of glass and facade construction, combined with the range of first-class quality products of the Böcker Group guarantees competent service and consultancy for your business. Böcker aluminum cranes are devices that can be put to a wide variety of uses and have proven themselves on various types of construction sites. Originally developed for roof construction work, the cranes can effectively be used in other areas due to their unbeatable combination of efficiency, extended range and maximum safety. We are perfectly familiar with the demands and requirements of the market. We keep a close eye on developments and are always ready to help you.